Although Noah's Ark is not strictly speaking synonymous with ancient astronauts, as an ancient mystery frequently cited by alternative authors, it warrants inclusion in the Ancient Astronaut Files. The following report, compiled for the now-defunct National Photographic Interpretation Center (NPIC), a unit of the CIA's Directorate of Science and Technology (DS&T), details the history of official requests for photographs of Noah's Ark that alternative authors insist the agency was holding in secret. (This report confirms material in the State Department Noah's Ark cables.) As the internal report demonstrates, there were no Noah's Ark photos. Pay special attention to the enlightening passage about Sen. Barry Goldwater's request for Ark photos. Redacted portions of the NPIC report are indicated with X's. Noah's Ark 1974 - 1982. On 13 May 1974, DCI Colby sent a letter to the DS&T, Sayre Stevens, asking if the Agency had any evidence of Noah's Ark on Mt. Ararat. Mr. Colby said that Lieutenant Colonel Walter Brown of the US Air Force Academy had asked “whether it would be appropriate or possible to exploit satellite photography to examine the glacier systems there to see whether any evidence of the Ark could be found." On 21 May, the Center responded that no evidence of the Ark could be discerned on U-2 photography acquired on 10 September 1957 or on any satellite imagery available at the Center. On 6 August 1974, Congressman Bob Wilson asked the Agency whether any aerial photos of Mt. Ararat could be released to a friend of his, Dr. John Morris, son of Dr. Henry M. Morris, the head of the Institution of Creation Research of San Diego, California. Mr. Hicks stated in a letter to the Agency legislative liaison staff that several U-2.photos dated 1957 were available but were still classified “Confidential." The younger Dr. Morris wrote to the Agency later requesting the photos. His request was denied by Angus Theurmer, the Agency's press spokesman who stated “We have looked into this matter in some detail and we regret that we are unable to provide any information". In September/October 1974, Admiral Showers of the Intelligence Community Staff, in response to a query from Lieutenant Commander Lonnie McClung, asked about the availability of intelligence information concerning the location of Noah's Ark. He was told that a search had been made of aerial photography with negative results. On 30 January 1975, Dr. John Morris again wrote Congressman Bob Wilson noting that aerial photos “were taken in August 1974, as a result of my request. They were not to be classified, but have been classified since and are not available." Congressman Wilson again contacted the Agency with the request. On 27 February 1975, Mr. Hicks again denied the request. On 11 March 1975, Dr. Morris was notified that the photography of Mt. Ararat was classified and, therefore, could not be provided. An additional request made through Dr. Charles Willis of Fresno, California to Mr. Arthur C. Lundahl, retired Director NPIC on 5 March 1975 was also denied on 31 March 1975. On 3 April 1975, NPIC Section Chief XXXXXXXX sent a memo to the Chief, IEG, detailing the efforts of Messrs. XXXXXXXX and XXXXXXXXX who had searched unsuccessfully all available U-2 and satellite imagery for possible evidence of Noah's Ark. This search had been prompted by the visit to the Center, on 14 March 1975, of Captain Howard Schue of the IC Staff with a ground photo “showing a long range view of the purported Ark.” The XXXXXXX Division of NPIC was tasked to determine if the Ark's features in the photo had been altered; tests failed to identify any manipulation. Attempts to compare the ground photo with satellite imagery for identification and location purposes also proved negative. From 27 March to 5 April 1975, a French archeological explorer, Fernand Navarra was at Iverson Mall in Washington, D.C. publicizing his book Noah's Ark I Touched It. As part of the sales pitch for the book, there was a display which included a supposed wood fragment of the Ark. Several NPIC analysts concerned with the Ark problem visited the display but found nothing that would help their search efforts. NPIC to discuss Mt. Ararat and to see the August 1974 aerial photography of the mountain. At the request of Captain Schue, a print of Mt. Ararat showing the 13,000 and 14,000 foot elevations was provided. On 5 July, 1975 a book entitled The Ark of Ararat by Thomas Nelson was released. 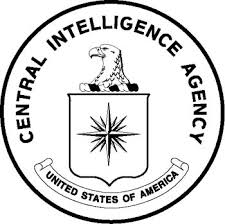 Mr. Nelson maintained that the CIA had photos of Ararat and that they had been analyzed in the search for the Ark. On 12 October 1975, Tom Crotser from a group known as The Holy Ground Mission of Frankston; Texas showed a ground photo supposedly of the Ark taken during their 1974 expedition to Mt. Ararat. Sometime in 1977, Bill Chaney Speed of Search Foundation, Inc. requested the aerial photos of Mt. Ararat. His request also was denied. On 27 May 1981, XXXXXXXX of the Center received a telephone call from Air Force Talent Control Officer, Major Ray Abel, requesting information on Noah's Ark. Major Abel said he had received a request from General Lew Allen, Air Force Chief of Stall, who, in turn, was answering a, requirement from Congressman Bill Archer of Texas. Congressman Archer had indicated that some of his constituents from Houston, Texas were going on an expedition to Mt. Ararat and would like to have as much information as possible. XXXXXXX told Major Abel that NPIC had conducted a study of Mt. Ararat in the 1970s and had found no evidence of the Ark. In February 1982, former Astronaut James B. Irwin of the High Flight Foundation, a Christian group in Colorado Springs, Colorado, called former NPIC official Dino A. Brugioni, at his home and asked about the aerial photos of Mount Ararat. Irwin was informed that no evidence of the Ark had ever been seen on aerial photography.